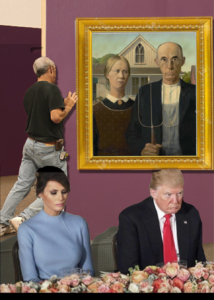 (TA News, Jan 31, 19} The President and Mrs. Trump attend a celebration at the Art Institute commemorating the purchase of a painting by Grant Wood to become part of President Donald J Trump’s redecorated Oval Office. 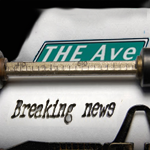 (TA News) The Art Institute of Chicago and Donald Trump Jr. announce that the Trump Organization will build a new room at the Institute for American Art. In return for the art, The Art Institute is gifting Grant Wood’s iconic painting to the White House Art Trust. This painting will help get Trump’s staffers into the proper mood to help lead America back to the 19 Century.